The story of the mirror who dreamed of being a window. There a few things that make our days special. We like to be surprised, intrigued and to challenge our reality. 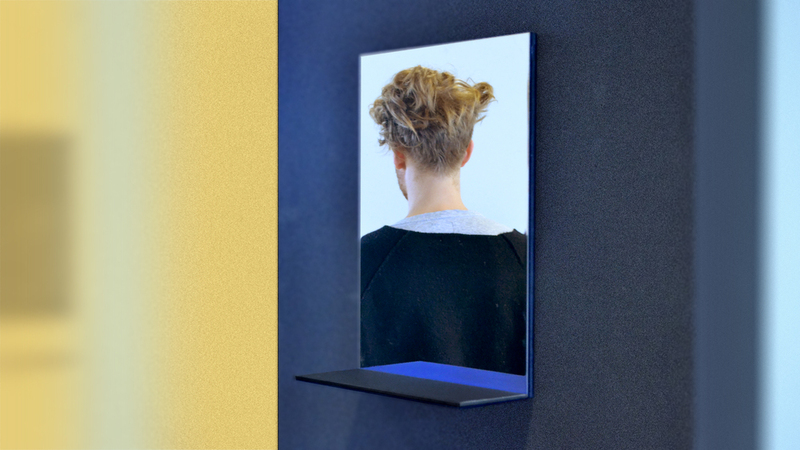 Narcissus is an object that plays with the way we see space. Like a magic trick it illusions us to believe that the mirror is in fact a window by reflecting a shelf in a different color. but luckily it takes even less time to be surprised by it. Scroll down to unveil the illusion. 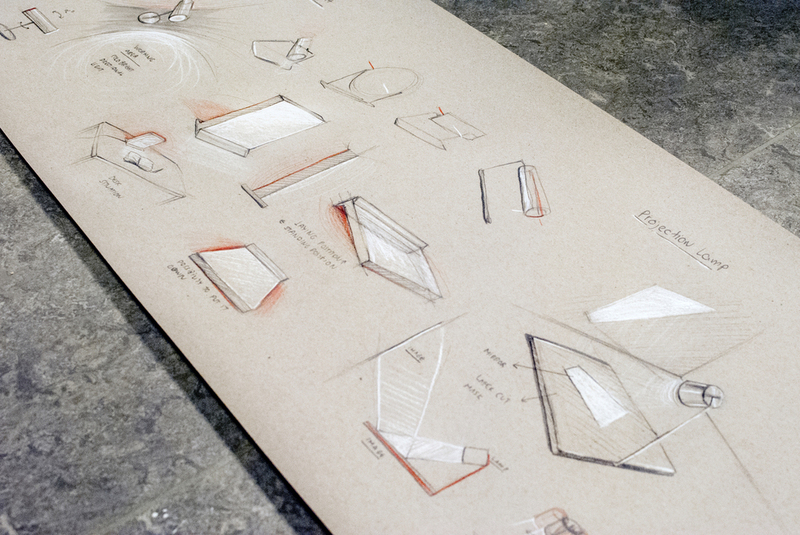 Sketch - Final Concept: Transforming a mirror into a window by using an illusion. 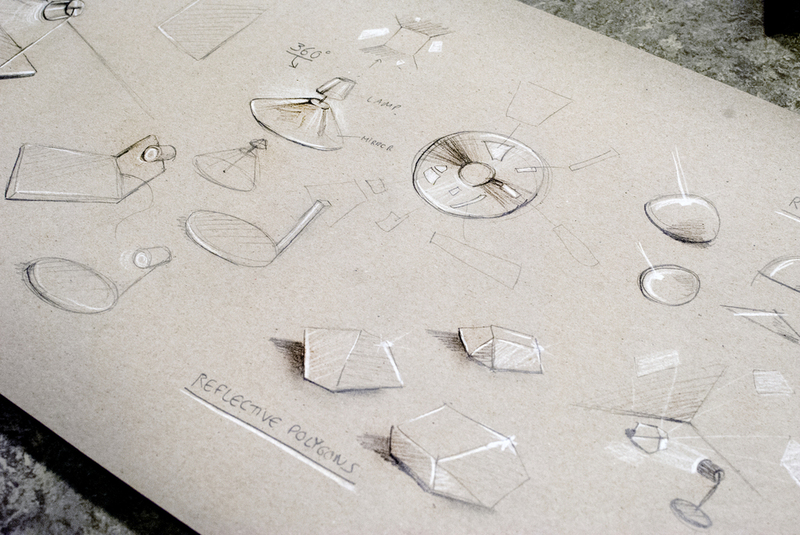 Sketch - Ideation: Working with lights shining on polygons to create scattered reflections. Color Studies - Peacock inspired palette, a gradient between green and blue. Color Studies - Yves Klein's blue, a strong color that doesn't shout for attention when in contrast with black. 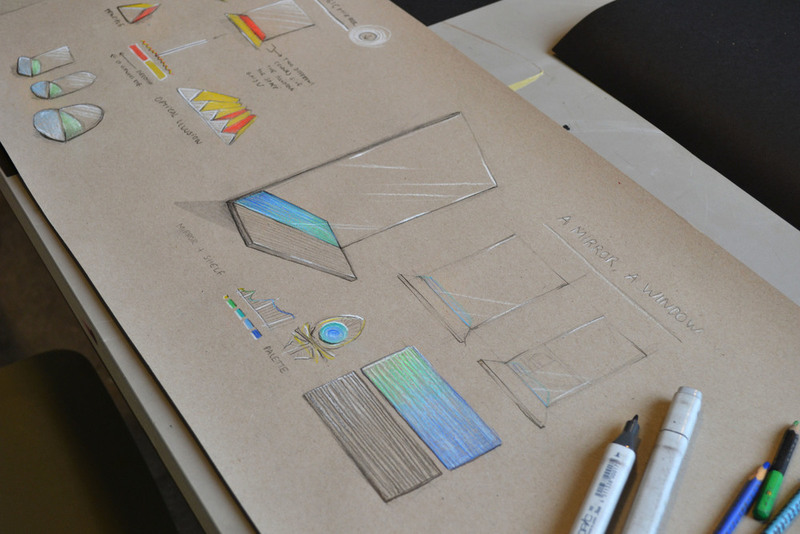 Structure and color studies - Experiments with different wavy structures and the effects on color. Modeling - Early prototype, testing the principal.